sailboat. : Make Up: Revlon Sweet Tart Lip Butter. 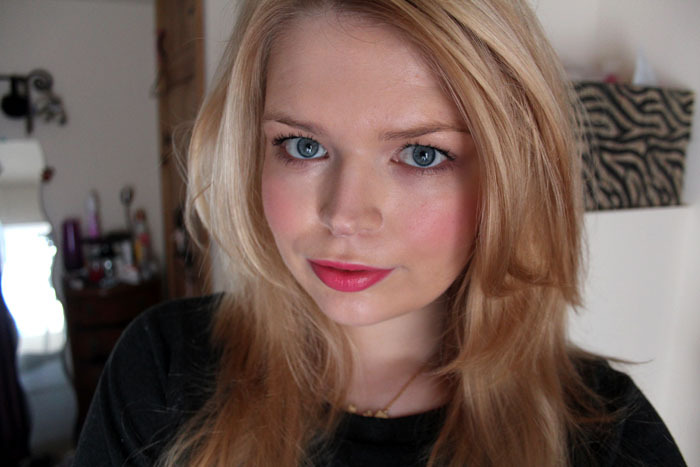 Base: Bourjois Healthy Mix Serum foundation, Collection 2000 Lasting Perfection concealer & Benefit Erase Paste concealer. Eyes: MUA Heaven & Earth eyeshadow palette & 17 Peep Show Mascara. 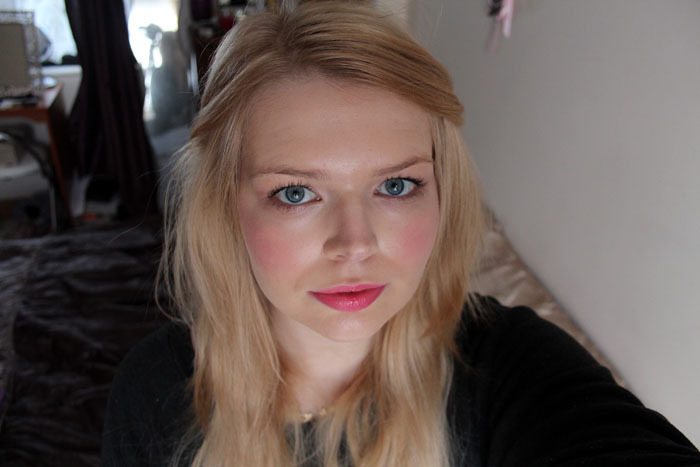 Cheeks: NARS Penny Lane cream blush & MAC Subtle Breeze mineralize blush. Lips: Revlon Sweet Tart Lip Butter. Last month I was loving the Revlon Lip Butter in Lollipop and this month I'm loving Sweet Tart. With make up I'm very much an all or nothing kind of person, when I find products I love I'll use them constantly until I get bored and fancy trying something different. Sweet Tart is bright yet completely wearable which makes it perfect for effortless spring time everyday make up. I haven't been feeling myself for the past couple of months, which I'll talk about some time soon but hopefully I'm finally starting to get back on track. Sometimes making decisions is so difficult when you're not sure what to do for the best, but I truly believe that you should always follow your heart. Always. That colour is so lovely!! I agree, whatever you do in life you must follow your heart! I really hope you're okay! Definitely follow your heart, it cannot work out the other way. I made the mistake of completely ignoring heart and gut and instinct and everything, and it was a complete disaster, so definitely, definitely follow your heart! Absolutely agree! I hope everything has worked out for you! So pretty I want this one now too! I got this at the weekend, loving the lip butters at the moment! I was wondering why people felt the need to buy 5 of them but now I totally get it! You look lovely in these pictures, I really like the Lollipop colour in combination with your blusher. Lovely as ever! Fab color on you! This is a lovely colour on you,it looks so lovely with your eyes! This is a lovely colour! I have one lip butter, but want to get more and can never decide which colour!